Fishing fun and a whole lot more. 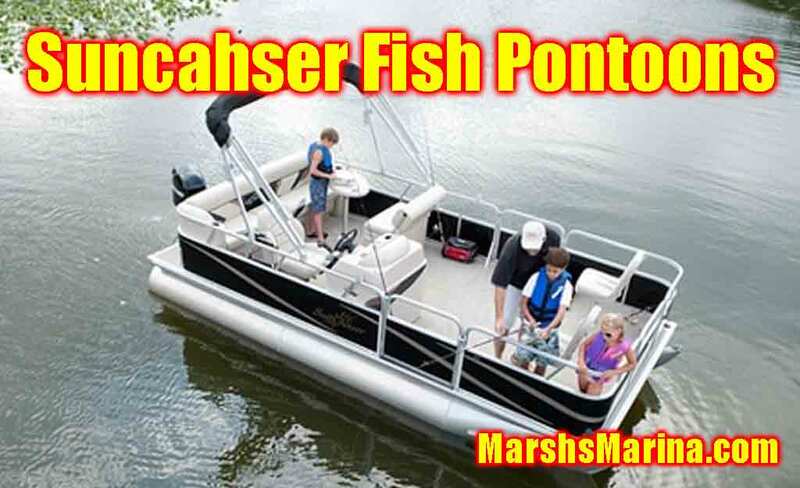 The SunChaser fish and cruise pontoon boat series makes it easy for your family to enjoy a day of fishing or an afternoon of cruising in style and comfort. Pontoons make great family fishing boats. The space offered by our fish models gives everyone plenty of room to move. No more tangled lines, no more bumping elbows, no more hassles. Bow fishing seats offer hours of comfortable, unencumbered fishing. They can be removed to form a huge, open deck for other activities. When you are not out fishing you'll enjoy all of the comforts of our cruise models, like wrap-around lounge seating and sun decks. 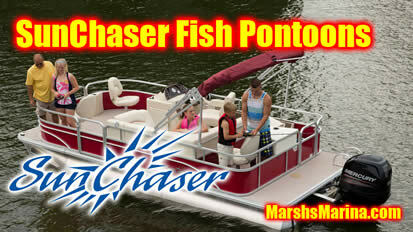 All in all, the fish series pontoon models are the perfect choice for the family that loves to do it all! A cure for fishing fever. It has recently been discovered that if applied liberally, SunChaser 4-Point pontoons can completely eliminate the effects of fishing fever. If your family has a case of fishing fever, you'll want to take a close look at this value packed series. Onboard, you'll find features like our comfort-formed fishing seats and reduced height rails which offer total access to the water and make landing your catch a breeze. Fish series pontoons have large aerated livewells to keep your catch in prime condition for hours. And for those who have yet to catch the fever, our L-group seating and wide sundecks will keep them comfortable as well.